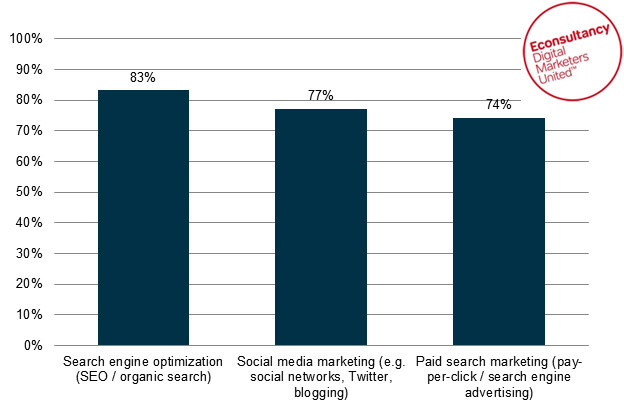 SEMPO and Econsultancy released the 2011 “State of Search Marketing Report” It is an exhaustive report on the Search Marketing Industry trends and features. We would like to share some metrics and information on SEO, PPC and Social Media Specification – Company Trends And Agency Trends. 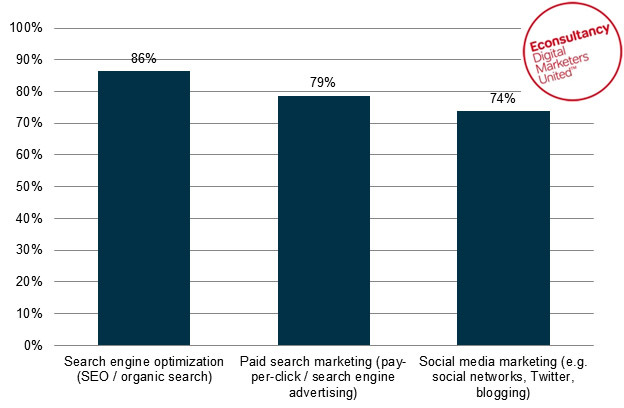 The figure below shows the proportion of client-side respondents carrying out search engine optimization (organic or natural search), paid search marketing and social media. The number of organizations engaging in SEO has gradually decreased in the last three years, from 91% in 2009 to 86% in 2011. This decline can be partly explained by the fact that some companies believe that carrying out SEO activity is not necessary as long as they have good content on their web site. Note: Social media marketing‟ was a new option from 2010. An increasing number of agencies are trying to own the social media space, hence the significant growth in the proportion of providers offering these services. 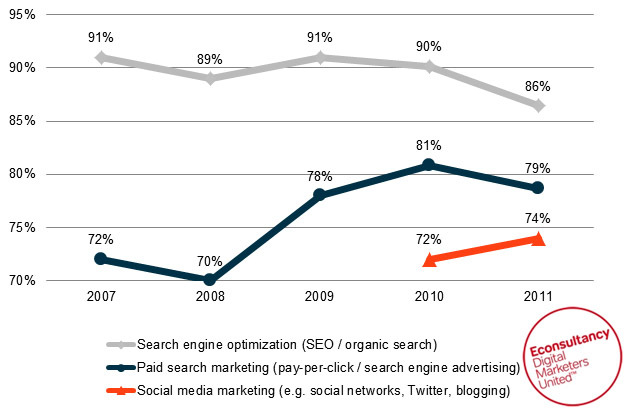 For SEO, the percentage has gradually decreased in the last four years, from 91% in 2008 to 83% in 2011. 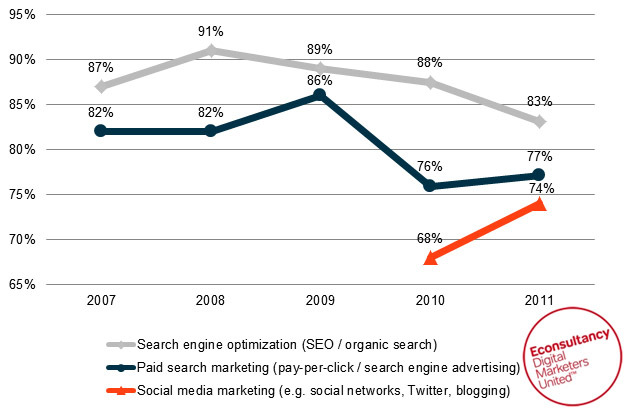 This matches the decline in companies carrying out SEO shown earlier above. Additionally, SEO activity is increasingly concentrated in the hands of SEO specialists rather than generic digital agencies.